Yes, San Francisco, Thank you for making what seems plain and ordinary, the MOST WONDERFUL THING EVER! 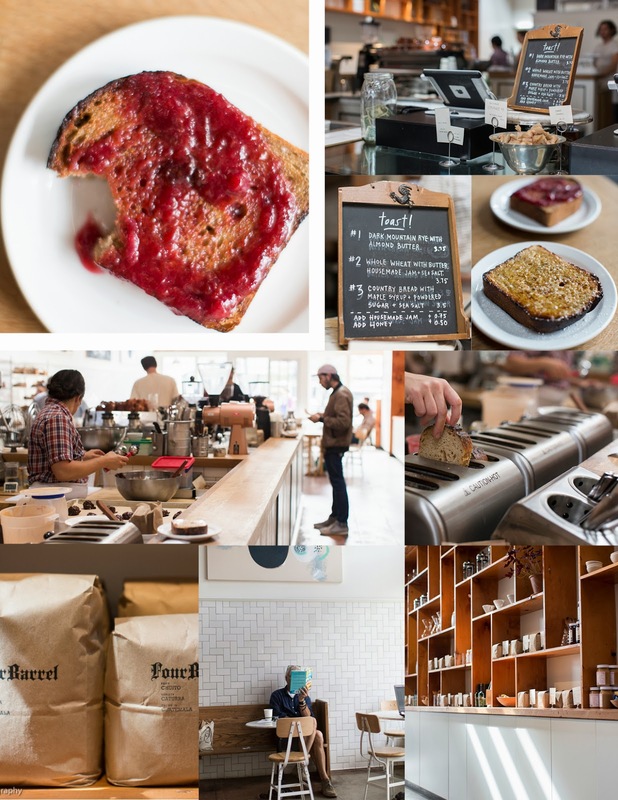 The Mill, on divisadero street in San Francisco serves up gourmet toast. Yes Toast, (well and coffee) before you say anything ...It is the most amazing toast you can have! It is a joint venture between Josey Baker Bread and Four Barrel Coffee and it is a great place to start the day or take a mid-day break and relax.